1This incentive is NOT compatible with HMF Special APR and HMF Special Lease. 2Customers must be a current owner of a Sonata or Santa Fe Sport (11MY-18MY) Hyundai vehicle to qualify. Customers must purchase an eligible new Hyundai vehicle from a participating Hyundai dealership. Customers currently living with an immediate family member who is the registered owner of a Hyundai vehicle at the commencement of the program period. An immediate family member is defined as follows: Father/Mother, Spouse, Daughter/Son, Brother/Sister Valued Owner Coupon may not be combined with Competitive Owner Incentive 3To be Eligible customers (or spouse) must be Active Duty, Reservist/National Guard, Retires, or a Veteran with Honorable Discharge from the U.S. Military at the commencement of the program period. Personnel from the U.S Military eligible for this program are defined as customers serving or having served in the United States Air Force, Army, Coast Guard, Marine Corps, Navy, Reserves, or National Guard. As well as, U.S. Military personnel who were Honorably Discharged due to a disability acquired during their service regardless of the number of years served. 4see dealer for details 5¹ See your participating Hyundai dealer for more details on these special offers. Special limited time annual percentage rate (APR) available to qualified buyers on approved credit through Hyundai Motor Finance. May not be combined with other special offers except where specified. Only a limited number of customers will qualify for advertised APR or lease offer. Not all buyer will qualify. Finance contract or lease agreement must be signed no later than April 30, 2019. Please contact the dealer directly to confirm that the offer(s) apply to the vehicle displayed. All vehicle inventory subject to prior sale. 6¹ See your participating Hyundai dealer for more details on these special offers. Special limited time annual percentage rate (APR) available to qualified buyers on approved credit through Hyundai Motor Finance. May not be combined with other special offers except where specified. Only a limited number of customers will qualify for advertised APR or lease offer. Not all buyer will qualify. Finance contract or lease agreement must be signed no later than April 30, 2019. Please contact the dealer directly to confirm that the offer(s) apply to the vehicle displayed. All vehicle inventory subject to prior sale. Finance for $331 per month at 1.9% APR for 60 months with $2,156 down payment. Payment expires on 04/30/19. Estimated Finance payment based upon 1.9% APR for 60 months, with a down payment of $2,156. Excludes title, taxes, registration, and license fees. Some customers will not qualify. See your authorized dealer for complete details on this and other offers. Residency restrictions may apply. Lease for $191/month for 36 months with $2,156 due at signing including $0 Security Deposit and 10,000 miles per year. Payment expires on 04/30/19. Estimated Lease payment based on 36 months and $2,156 due at lease signing. Cash due at signing includes $6,565 capitalization cost reduction, which includes $650 acquisition fee, plus a required security deposit of $0, and first month's lease payment of $191. Excludes title, taxes, registration, and license fees. Total monthly payments equal $13,437. Mileage charge of $0.20 per mile over 10,000 miles. Not all consumers will qualify. Residency restrictions may apply. Finance for $364 per month at 1.9% APR for 60 months with $2,366 down payment. Payment expires on 04/30/19. Estimated Finance payment based upon 1.9% APR for 60 months, with a down payment of $2,366. Excludes title, taxes, registration, and license fees. Some customers will not qualify. See your authorized dealer for complete details on this and other offers. Residency restrictions may apply. Lease for $216/month for 36 months with $2,366 due at signing including $0 Security Deposit and 10,000 miles per year. Payment expires on 04/30/19. Estimated Lease payment based on 36 months and $2,366 due at lease signing. Cash due at signing includes $6,951 capitalization cost reduction, which includes $650 acquisition fee, plus a required security deposit of $0, and first month's lease payment of $216. Excludes title, taxes, registration, and license fees. Total monthly payments equal $14,702. Mileage charge of $0.20 per mile over 10,000 miles. Not all consumers will qualify. Residency restrictions may apply. Finance for $315 per month at 1.9% APR for 60 months with $2,056 down payment. Payment expires on 04/30/19. Estimated Finance payment based upon 1.9% APR for 60 months, with a down payment of $2,056. Excludes title, taxes, registration, and license fees. Some customers will not qualify. See your authorized dealer for complete details on this and other offers. Residency restrictions may apply. Lease for $183/month for 36 months with $2,056 due at signing including $0 Security Deposit and 10,000 miles per year. Payment expires on 04/30/19. Estimated Lease payment based on 36 months and $2,056 due at lease signing. Cash due at signing includes $6,273 capitalization cost reduction, which includes $650 acquisition fee, plus a required security deposit of $0, and first month's lease payment of $183. Excludes title, taxes, registration, and license fees. Total monthly payments equal $12,845. Mileage charge of $0.20 per mile over 10,000 miles. Not all consumers will qualify. Residency restrictions may apply. Finance for $419 per month at 1.9% APR for 60 months with $2,713 down payment. Payment expires on 04/30/19. Estimated Finance payment based upon 1.9% APR for 60 months, with a down payment of $2,713. Excludes title, taxes, registration, and license fees. Some customers will not qualify. See your authorized dealer for complete details on this and other offers. Residency restrictions may apply. Lease for $266/month for 36 months with $2,713 due at signing including $0 Security Deposit and 10,000 miles per year. Payment expires on 04/30/19. Estimated Lease payment based on 36 months and $2,713 due at lease signing. Cash due at signing includes $7,247 capitalization cost reduction, which includes $650 acquisition fee, plus a required security deposit of $0, and first month's lease payment of $266. Excludes title, taxes, registration, and license fees. Total monthly payments equal $16,812. Mileage charge of $0.20 per mile over 10,000 miles. Not all consumers will qualify. Residency restrictions may apply. Finance for $416 per month at 1.9% APR for 60 months with $2,696 down payment. Payment expires on 04/30/19. Estimated Finance payment based upon 1.9% APR for 60 months, with a down payment of $2,696. Excludes title, taxes, registration, and license fees. Some customers will not qualify. See your authorized dealer for complete details on this and other offers. Residency restrictions may apply. Lease for $272/month for 36 months with $2,696 due at signing including $0 Security Deposit and 10,000 miles per year. Payment expires on 04/30/19. Estimated Lease payment based on 36 months and $2,696 due at lease signing. Cash due at signing includes $6,725 capitalization cost reduction, which includes $650 acquisition fee, plus a required security deposit of $0, and first month's lease payment of $272. Excludes title, taxes, registration, and license fees. Total monthly payments equal $16,507. Mileage charge of $0.20 per mile over 10,000 miles. Not all consumers will qualify. Residency restrictions may apply. Lease for $190/month for 36 months with $2,148 due at signing including $0 Security Deposit and 10,000 miles per year. Payment expires on 04/30/19. Estimated Lease payment based on 36 months and $2,148 due at lease signing. Cash due at signing includes $6,559 capitalization cost reduction, which includes $650 acquisition fee, plus a required security deposit of $0, and first month's lease payment of $190. Excludes title, taxes, registration, and license fees. Total monthly payments equal $13,391. Mileage charge of $0.20 per mile over 10,000 miles. Not all consumers will qualify. Residency restrictions may apply. Finance for $330 per month at 1.9% APR for 60 months with $2,151 down payment. Payment expires on 04/30/19. Estimated Finance payment based upon 1.9% APR for 60 months, with a down payment of $2,151. Excludes title, taxes, registration, and license fees. Some customers will not qualify. See your authorized dealer for complete details on this and other offers. Residency restrictions may apply. Lease for $191/month for 36 months with $2,151 due at signing including $0 Security Deposit and 10,000 miles per year. Payment expires on 04/30/19. Estimated Lease payment based on 36 months and $2,151 due at lease signing. Cash due at signing includes $6,561 capitalization cost reduction, which includes $650 acquisition fee, plus a required security deposit of $0, and first month's lease payment of $191. Excludes title, taxes, registration, and license fees. Total monthly payments equal $13,410. Mileage charge of $0.20 per mile over 10,000 miles. Not all consumers will qualify. Residency restrictions may apply. Finance for $314 per month at 1.9% APR for 60 months with $2,051 down payment. Payment expires on 04/30/19. Estimated Finance payment based upon 1.9% APR for 60 months, with a down payment of $2,051. Excludes title, taxes, registration, and license fees. Some customers will not qualify. See your authorized dealer for complete details on this and other offers. Residency restrictions may apply. Lease for $182/month for 36 months with $2,051 due at signing including $0 Security Deposit and 10,000 miles per year. Payment expires on 04/30/19. Estimated Lease payment based on 36 months and $2,051 due at lease signing. Cash due at signing includes $6,270 capitalization cost reduction, which includes $650 acquisition fee, plus a required security deposit of $0, and first month's lease payment of $182. Excludes title, taxes, registration, and license fees. Total monthly payments equal $12,818. Mileage charge of $0.20 per mile over 10,000 miles. Not all consumers will qualify. Residency restrictions may apply. Finance for $297 per month at 1.9% APR for 60 months with $1,943 down payment. Payment expires on 04/30/19. Estimated Finance payment based upon 1.9% APR for 60 months, with a down payment of $1,943. Excludes title, taxes, registration, and license fees. Some customers will not qualify. See your authorized dealer for complete details on this and other offers. Residency restrictions may apply. Lease for $174/month for 36 months with $1,943 due at signing including $0 Security Deposit and 10,000 miles per year. Payment expires on 04/30/19. Estimated Lease payment based on 36 months and $1,943 due at lease signing. Cash due at signing includes $6,409 capitalization cost reduction, which includes $650 acquisition fee, plus a required security deposit of $0, and first month's lease payment of $174. Excludes title, taxes, registration, and license fees. Total monthly payments equal $12,672. Mileage charge of $0.20 per mile over 10,000 miles. Not all consumers will qualify. Residency restrictions may apply. Finance for $317 per month at 1.9% APR for 60 months with $2,070 down payment. Payment expires on 04/30/19. Estimated Finance payment based upon 1.9% APR for 60 months, with a down payment of $2,070. Excludes title, taxes, registration, and license fees. Some customers will not qualify. See your authorized dealer for complete details on this and other offers. Residency restrictions may apply. Lease for $185/month for 36 months with $2,070 due at signing including $0 Security Deposit and 10,000 miles per year. Payment expires on 04/30/19. Estimated Lease payment based on 36 months and $2,070 due at lease signing. Cash due at signing includes $6,285 capitalization cost reduction, which includes $650 acquisition fee, plus a required security deposit of $0, and first month's lease payment of $185. Excludes title, taxes, registration, and license fees. Total monthly payments equal $12,931. Mileage charge of $0.20 per mile over 10,000 miles. Not all consumers will qualify. Residency restrictions may apply. Are you looking for a reliable sedan that is versatile enough to handle everyday commuting and weekend road trips, check out the new Hyundai Elantra inventory at Star Hyundai. We are located in Bayside, but we serve all of the greater Queens, Flushing, and New York region with our new Hyundai models. Tech upgrades like hands-free Bluetooh integration and an adjustable driver's seat come standard in this sedan. 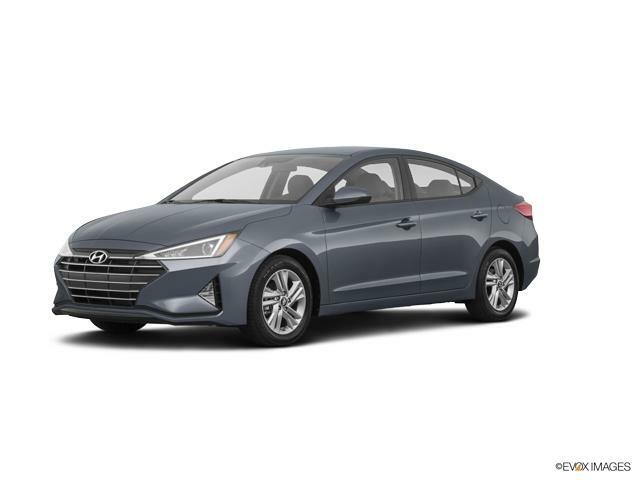 Shop our new inventory, or take a look at our used Hyundai Elantra inventory if you are searching for a pre-owned car.